COLC uses a developmental approach to curriculum and program management based on knowledge of growth sequences and current child care research. This approach is implemented according to individual development levels and interests of each child as assessed by the COLC staff. Your child’s education is one of the most important decisions a parent can make. Quality education brightens your child’s future. The infant program follows a “demand’ schedule in which children eat, sleep, and play according to their own patterns. Simple activities are scheduled according to developmental age to encourage attachment, vocalization, and eye-hand coordination. These activities assist the caregivers in monitoring the infant’s developmental progress. 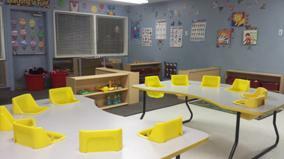 As the child grows and develops, the classroom schedule and learning environment becomes more complex. 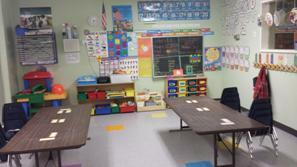 Activities are organized into age appropriate units. The unit theme provides the vehicle for introducing language, math, and science concepts. Other related classroom activities provide the child with opportunities to share, explore, interact with others, and learn responsibility. Our planned learning activities are designed to be concrete, real, and directly relevant to the child. Chronological age does not limit the range of activities COLC provides. Activities are designed to offer appropriate challenges for each child. Please contact the classroom teacher for a copy of the learning objectives. Understanding the value of literacy as a means of communication, as well as coming to enjoy reading, is an accomplishment typical of the future good reader and successful student. Mathematics learning builds on children’s curiosity and enthusiasm, and challenges children to explore ideas about patterns and relationships, order and predictability, and logic and reading. Consequently, quality instruction occurs in environments that are rich in language, encourage children’s thinking and nurture children’s explorations and ideas. Children use the process of science to develop an understanding about their world. Young children use their senses to gather information. They learn by participating in simple investigations (for example, adding water to a dried up sponge) and then thinking about it and finally discussing what happed. Young children learn personal and social skills that enable them to function well within the social setting of the classroom. Children develop a sense of who they are and their capabilities, identify and internalize character values and social courtesies, and establish positive relationships with others, which enable them to effectively participate in a class and community and accomplish meaningful tasks. Young children express their ideas, thoughts, and feelings using a variety of symbols. The fine arts enhance children’s ability to interpret symbols and are associated with growth in all areas of development, including academic learning.